ARE YOU TIRED OF YOUR FACILITY'S TIRED OLD FURNITURE? It may be time to scrap the aging lounge and bedroom furniture and start fresh. So when you are ready to replace your facility’s furniture (or furnish a new facility) where do you start? Depending on the type of consumers, patients, or clients you serve you may need to evaluate your furniture needs to include any health or fire codes. Typically, upholstered furniture is required to be CAL 117 compliant although some jurisdictions require the stricter CAL 133 certification. It is always a best practice to contact you local fire department to verify the codes specific to your area. If you are required to comply with additional standards to uphold other certifications then it is important to check with those certifying agencies in advance. For example, your certifying agency may have functional requirements such as minimum seating availability per resident or upholstery fabrics that are anti-bacterial / anti-microbial . Be sure to carefully explore any requirements in advance and share them clearly with you furniture supplier. One of the most challenging aspects of a new furniture project is figuring out how to budget. Let’s face it; furniture is the first impressions visitors have of your facility. The furniture you choose will become closely connected with your facility’s identity. Part of setting a budget is deciding what image you want to portray. If having a designer look is important then you may need to budget more dollars towards fabrics and finishes to accomplish that look. If you are purely interested in function, then your budget can be smaller. Most furniture dollars for both new facilities and existing furniture replacements are budgeted through an FF&E budget on a 2 – 5 year cycle. Contract furniture providers can easily provide you a budgeting quote to expedite the finance processes. If furniture is not already part of your facility’s budget then you can expect there to be a 3 – 12 month lag between requesting the dollars and actually being able to spend them. Therefore, it pays to let your furniture provider know you are seeking a quote for budgeting purposes so that they can help you account for future materials cost increases. Choosing the right furniture supplier is a critical step in a successful project. It is important to seek a contract furniture provider that is experienced in your industry. Your clients and your staff are unique. Working with someone who understands your unique needs will make a big difference in the results. Furniture distributors tend to be a better fit than factory direct purchasing since distributors have access to substantially more products and more industry-specific knowledge. It may seem counter-intuitive but factory-direct purchasing does not guarantee lower pricing. Contract furniture distributors have more efficiencies related to product distribution and delivery options - as a result most factories prefer customers to work through dealers. The factories and dealers work together to establish volume pricing which means that the price you pay a contract furniture distributor is as good or better as purchasing factory-direct. 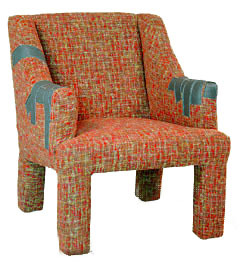 Industry publications are a good resource for sourcing potential contract furniture vendors. Also, using needs-specific search terms in internet search engines will help you find industry-knowledgeable providers. For example, if you deal with limited mobility, use those words “limited mobility furniture” in a Google search to return a list of vendors who understand what furniture to recommend to best suit the needs of your limited mobility clients. This is especially important in group living environments since the ultimate goal will be to provide a high degree of independence for your residents and nothing accomplishes that quite as well as the right furniture solutions!